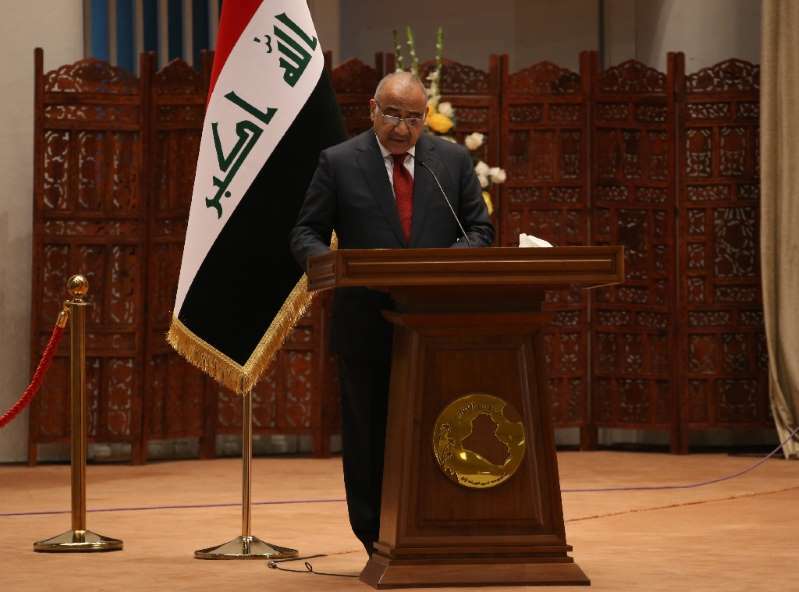 The Iraqi parliament approved 14 new cabinet ministers Thursday proposed by prime minister-designate Adel Abdel Mahdi, even as key portfolios such as defence and interior affairs remained unassigned, an official said. A total of 220 lawmakers out of 329 elected in May to a deeply divided parliament, approved Abdel Mahdi's 14 picks, including for the ministries of foreign affairs, finances, and oil. After elections in May, new President Barham Saleh handed Abdel Mahdi the task of forming a new government, with several coalitions jockeying for preeminence. A veteran of Iraqi politics and an economist by training, Abdel Mahdi, 76, is regarded as sufficiently independent to be able to assemble a government despite fractures in the ruling elites. The former oil minister has support from both Tehran and Washington, a necessary consensus in a country caught between two major allies, each the enemy of the other. Iraq has a proportional voting system designed to prevent a slide back into dictatorship following the 2003 ouster of late dictator Saddam Hussein. The largely ceremonial role of president, now held by the 58-year-old Saleh, has been reserved for the Kurds since Iraq's first multi-party elections in 2005. Under the power-sharing deal, the post of prime minister is held by a Shiite, while the speaker of parliament is Sunni Arab -- a post filled last month by Mohammed al-Halbusi. The new government faces an immense task in rebuilding a country ravaged by three years of Islamic State occupation and fierce fighting. It will also have to deal with the scourges of corruption, power shortages, and decaying public services. Among those given the green light on Thursday are Thamer Abbas Ghadbane in the crucial ministry of oil -- Iraq's only source of income. He previously held the portfolio in 2004 and 2005. In the finance seat is Fouad Hussein, who has close ties to the autonomous region of Kurdistan. Parliament will reconvene on November 6 to decide on the remaining ministries. For foreign affairs, Abdel Mahdi has proposed Mohammed Ali al-Hakim, a former ambassador to the UN, and for electricity, Louai al-Khatib, a respected researcher in the energy field.